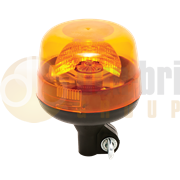 The compact series are 23W (21W bulb and 2W motor) low profile rotating beacons that are gear driven and have an ultra low profile reflector. 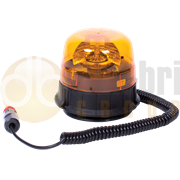 This beacon has a very small power consumption compared to standard 55W/70W bulbs and yet with the unique reflector design exceeds the requirement that is needed to pass ECE R65. 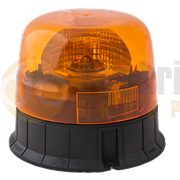 This beacon is ideal for multiple uses including agricultural and is available with a variety of different mounting options.